A major investor has keyed into the dream of talented Nigerian music producer and executive, Mr Collins Ajereh, otherwise known as Don Jazzy. In 2012, after splitting with his former friend and partner, Dapo Oyebanjo, fondly called D’Banj, who they both founder the defunct Mo’Hits together, Don Jazzy set up Mavin Records. Seven years after its establishment, the record label is getting the interest of a company known as Kupanda Holdings, which is putting millions of Dollar into the business. A report by Music Business Worldwide said the company wants the Nigerian firm to expand its scope to reach more talented artistes. At the moment, Mavin Records boasts of local music acts like Tiwa Savage, Johnny Drille, Di’ja, D’Prince and Korede Bello. 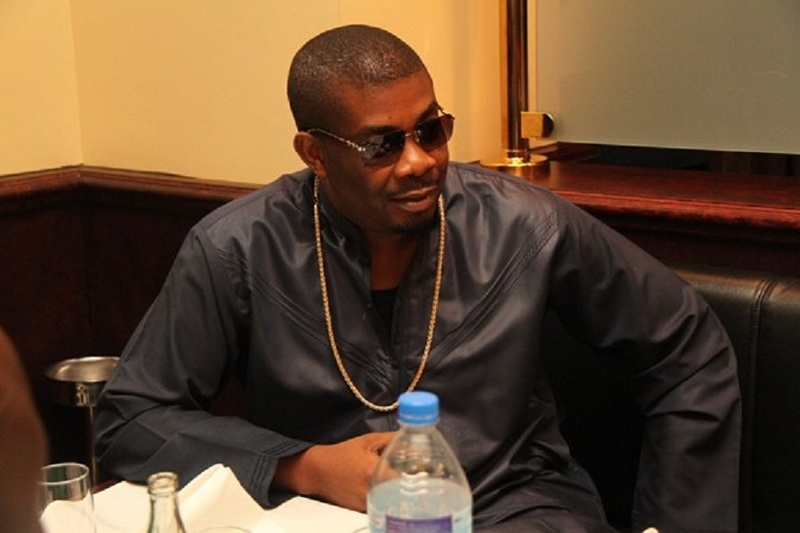 “By collaborating with artists, African creatives, local and international partners, we can become a globally recognized household name and the go-to platform for connecting African music with the world,” Don Jazzy told MBW. Also speaking, Tega Oghenejobo, Chief Operating Officer of Mavin, said, “With the resources and operational capacity Kupanda Holdings brings along with their investment, Mavin is now ready to grow our artist roster across the continent, and partner at a global scale. Over the past seven years, Mavin Records has leveraged digital platforms like YouTube and Instagram, where it has 1.7 million followers, to target its music to local fanbases, as well as the African diaspora in the US, Europe and UK. Nigeria is the most populous country in Africa, with a population of 180 million. Its local record industry is projected to grow rapidly with increasing smartphone penetration and the rise of digital streaming platforms. On his part, Bobby Pittman, Managing Partner of Kupanda Holdings, said: “Between Don Jazzy’s legacy of defining the sound of modern Afrobeats and developing top African artists, Mavin Global has a unique advantage and opportunity to build the record label that will accelerate bringing African popular music to the world. “We are impressed by the Mavin team’s experience and are pleased to partner with them in their next phase of growth.” Kupanda Holdings is a joint venture between pan-Africa investment company Kupanda Capital and TPG Growth. Business Post reports that Mavin Records started with Don Jazzy, Tiwa Savage, Dr Sid, D’Prince and Wande Coal. Later, Wande Coal left the label and more artistes were brought like Reekado Banks, Korede Bello, Iyanya and others. Some months ago, Iyanya left the music outfit and later, Reekado followed.